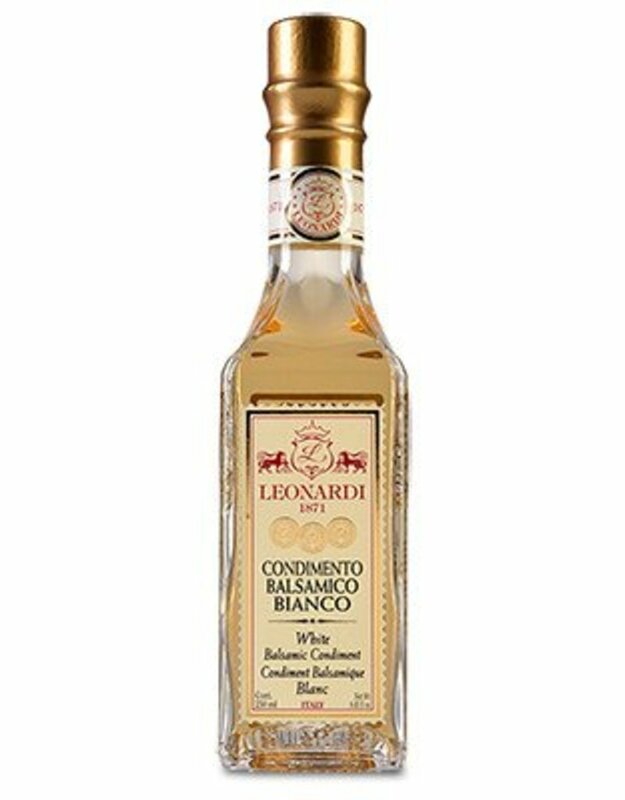 Leonardi White Balsamic Condiment - Miam! Bright and balanced with sweet notes of pear, apple and citrus fruit. This White Balsamic Condiment stands up to strongly flavored dishes as well as more subtle and delicate cuisine. Fantastic with light fish or bold pork and outstanding in vinaigrettes. Made from sweet Trebbiano grape must that is reduced to a delicate golden color, then transferred to oak barrels previously acidified by a mother vinegar. The barrels are then tightly sealed to avoid oxidation and discoloration of the vinegar and left to acidify and ferment for 4 years. 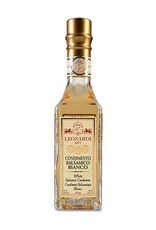 The result is a vinegar with deep golden hues, rich floral notes on the palate, and sweet soft acidity.